An HTML validating system conforming to International Standard ISO/IEC 15445 - HyperText Markup Language, and International Standard ISO 8879 - Standard Generalized Markup Language (SGML). An HTML system conforming to International Standard ISO/IEC 15445 - HyperText Markup Language. "-//ISO-HTML User's Guide//DTD Preparation of ISO-HTML//EN"
Permission to copy in any form is granted for use with validating and conforming systems and applications as defined in ISO/IEC 15445:2000, provided this copyright notice is included with all copies. A <Q LANG=de>quotation in German</Q> and a <Q LANG=fr>quotation in French</Q>. A ,,quotation in German'' and a <<quotation in French>>. Copyright (C) 2000 IETF, W3C (MIT, Inria, Keio), ISO/IEC. 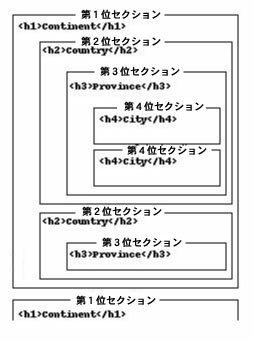 Copyright (C) 2000, IETF, W3C (MIT, Inria, Keio), ISO/IEC. preference to the ID attribute over the NAME attribute. INPUT, LABEL, SELECT or TEXTAREA elements. an ISMAP or USEMAP attribute. without an intervening H2 element. without an intervening H3 element. An H2 element shall be preceded by an H1 element. An H3 element shall be preceded by an H2 element. An H4 element shall be preceded by an H3 element. An H5 element shall be preceded by an H4 element. An H6 element shall be preceded by an H5 element. shall be contained in an A element with an HREF attribute present. provided for the the NAME and VALUE attributes. FORM element which contains the LABEL. Tim Berners-Lee, Daniel Connolly. Hypertext Markup Language -- 2.0 Internet Engineering Task Force RFC 1866 1995. Tim Bray, Jean Paoli and C.M. Sperberg-McQueen. 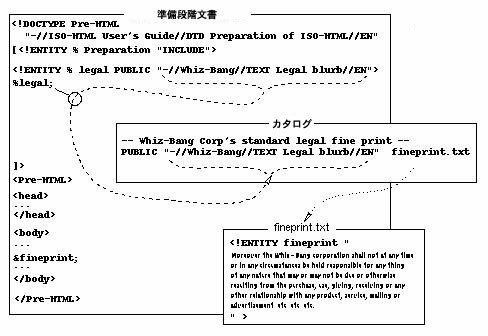 Extensible Markup Language (XML) 1.0 World Wide Web Consortium REC-xml-19980210, 1998. Roy T. Fielding, Jim Gettys, Jeffrey C. Mogul, Henrik Frystyk Nielsen, Tim Berners-Lee. Hypertext Transfer Protocol -- HTTP/1.1 Internet Engineering Task Force, 1997 RFC 2068. Charles F. Goldfarb. The SGML Handbook First edition. Oxford University Press, 1990. ISBN 0-19-853737-9. Paul Grosso, Ed., Entity Management. OASIS Technical Resolution 9401:1997 (Amendment 2 to TR 9401), Organization for the Advancement of Structured Information Standards (OASIS), 1997 September 10. David McKelvie, Henry Thompson, Steve Finch. The Normalised SGML Library, LT NSL version 1.5, 21 August 1997. Language Technology Group, Human Communication Research Centre, University of Edinburgh, 2 Buccleuch Place, EH89LW, Edinburgh, Scotland. Steven Pemberton and others. XHTMLTM 1.0: The Extensible HyperText Markup Language: A Reformulation of HTML 4 in XML 1.0. World Wide Web Consortium. REC-xhtml1-20000126, 2000. Dave Raggett, Arnaud Le Hors, Ian Jacobs. HTML 4.0 Specification W3C Recommendation REC-html40-971218, 18-Dec-1997. World Wide Web Consortium. Wireless Application Protocol Forum, Ltd. Wireless Markup Language Specification (WML) Version 1.2, November 1999.